There has a lot of hype surrounding wearable technology in recent months and over the past two years the industry has seen an incredible amount of investment in new technology as big brands and startups develop new ways to monitor, track and record body metrics and health information. Many new Smartwatches have been released this year with 2015 expected to see the market flooded with new wearable devices. Smartwatches may not yet have become mainstream products, but surveys show the public is ready to embrace new fitness and health tracking devices. There has also been considerable interest in the devices from insurance companies, with some experts believing wearables could cause a massive shake up in the industry and change how insurance premiums are calculated and sold to customers. If insurance companies want to sell more policies, reducing premiums can certainly win more business. If customers are unlikely to ever make a claim there is no reason why they should not be rewarded with lower premiums. High risk clients naturally should pay more to cover their higher risk level. The calculation of insurance premiums is currently a highly complex task involving the analysis of staggering amounts of data. Previous claims are assessed by category, subset and segment and the results that emerge from the calculations give a broad but relatively accurate risk level to a particular individual and premiums are set based on how likely a claim would be and the value of that claim. It is not possible to calculate risk at the individual level, only by groups of people and this can be unfair. Some low risk people will invariably have to pay high premiums because they fall into a particular demographic category. However, we are on the verge of change. Insurance companies now have access to a considerable amount of data and so much information is available on consumers that it is possible to build a highly accurate picture of a potential customer and policies could be assessed on an individual basis. The data recorded by a wearable device or tracker could be used to determine premiums and give policy holders a truly individual quote. Low risk individuals living active and healthy lives would pay less than the largely sedentary due to the corresponding level of risk. Google’s release of Android Wear, an operating system for wearable devices such as Smartwatches, has helped fuel the new phenomenon for tracking fitness and health. 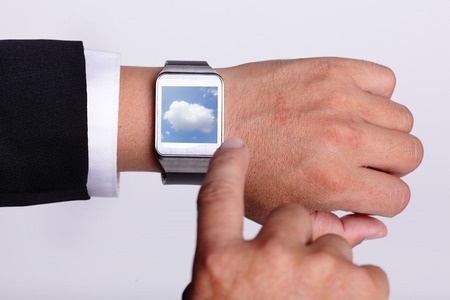 To date over 90 million wearable units have been sold with the number expected to reach 170 million in just 3 years. If an individual wears a health tracker, heart rate monitor or other wearable device, it would be possible not only to monitor risk but sound alerts and alarms to take it easy, seek medical help or take medication. The wearable technology already exists to track many body metrics such as heart rate, daily activity levels, calories burned, sleep quality and more, and the industry has seen heavy investment in wearable tech for use in healthcare. Technology has been developed to allow quick DNA testing to be completed from a saliva sample and to have this in a wearable device; the FDA did not approve the [product but it does demonstrate how detailed medical information can be easily collected. Surveys suggest that consumers would be willing to wear a device that monitors their health if it was provided by an insurance company and if it lowered insurance premiums. Companies in Japan are already offering the monitoring equipment and consumers are enjoying the benefits. Technology is being developed that will report the current state of your car and then adjust your auto insurance premiums accordingly. In healthcare, a wearable device could alert the wearer to a number of symptoms that require attention, suggest changes in lifestyle or diet based on physical data and encourage the wearer to take action to lower risks to the health. One notable change has arrived courtesy of entrepreneur Elizabeth Holmes, who has just become America’s youngest female billionaire. She has started selling medical and genetic analysis kits online for a fraction of the cost of the Medicare or Medicaid payment. Many of the tests are being sold for just a few dollars. Cheap medical tests means more medical data is collected and highly detailed profiles of individuals can be created. While this may be good for insurance companies, the huge volume of data – and its ease of transmission – could be problematic. Technology must also be developed to ensure that all of this data is stored securely and has the appropriate safeguards in place to prevent the information from falling into the wrong hands. The value of that data means it will be a highly attractive target for cybercriminals and a hacking attempt is not a possibility, it is inevitable. Healthcare organizations must ensure that any wearable device is subjected to a thorough risk analysis before use and the necessary safeguards are put in place to protect any data it records or transmits.